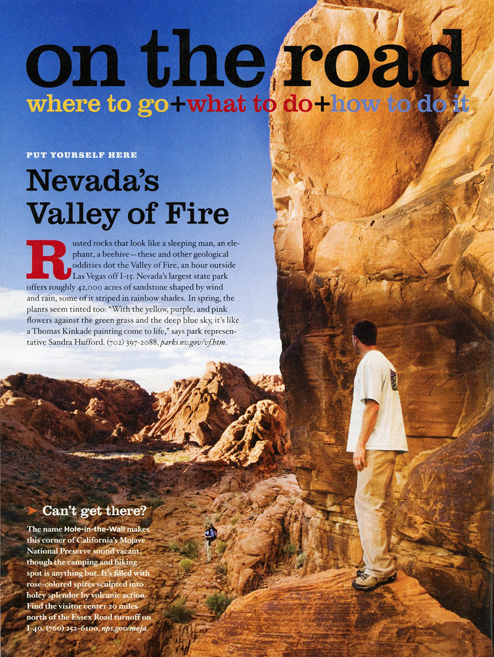 The latest issue of Via Magazine has one of our photos from the Valley of Fire, a red rock playground, outside of Las Vegas, Nevada. When visiting Vegas, not many people explore outside of the city, but this is definitely worth the trip. The rock lights up a vibrant red at sunset and there are many hiking trails to explore. If you look closely, behind the guy standing in the photo, you’ll see some petroglyphs as well. Check it out!